Six hours of quality sleep per night is the minimum needed to help keep your heart healthy, according to a new study. Chronic lack of sleep and poor sleep quality raise the odds of fatty plaque accumulation in arteries – a condition known as atherosclerosis – which increases the odds of heart attack and stroke, according to the study, which was published on Jan. 14 in the Journal of the American College of Cardiology. Subjects who slept less than six hours a night were 27 percent more likely to have body-wide atherosclerosis than those who slept six to eight hours a night, the study found. Participants with “poor-quality” sleep – frequent awakenings or difficulty getting to sleep – were also 34 percent more likely to have atherosclerosis, compared to those with good-quality sleep, the study found. “This is the first study to show that objectively measured sleep is independently associated with atherosclerosis throughout the body, not just in the heart,” said lead researcher Jose Ordovas, an investigator at the National Center for Cardiovascular Research in Madrid, Spain. Ordovas also directs nutrition and genomics at the Jean Mayer USDA Human Nutrition Research Center on Aging at Tufts University in Boston. In the new research, Ordovas said his team used coronary ultrasound and CT scans to track the artery health of nearly 4,000 Spanish adults. The study participants, with an average age of 46, did not have heart disease at the beginning of the study. 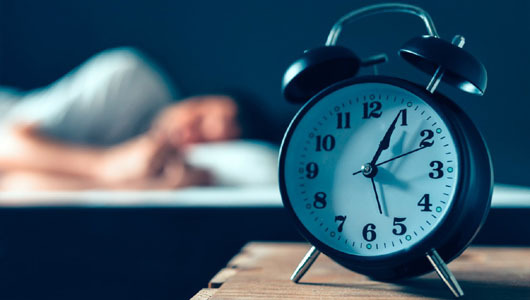 “Targeting one’s sleep habits is finally getting recognized in the medical world as an important factor to improve heart disease,” said Dr. Eugenia Gianos, who directs women’s heart health at Lenox Hill Hospital in New York City.